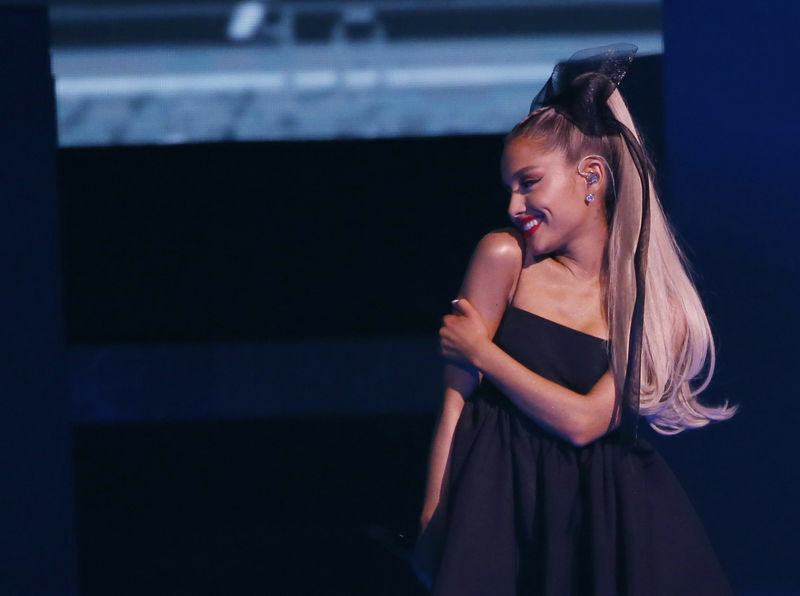 2018 Billboard Music Awards - Show - Las Vegas, Nevada, U.S., 20/05/2018 - Ariana Grande performs "No Tears Left To Cry"
The previous record was held by British singer Adele‘s “Hello” comeback music video in 2015, which took five days to reach 100 million views, Vevo said. “100 mil already. sheesh … thank u, everybody. we love u n are so excited,” Grande tweeted on Tuesday. Grande, who has 137 million Instagram followers, sings with affection of Davidson and another ex-boyfriend, rapper Mac Miller who died in Los Angeles in September after a drug overdose, but she also sings that she has found a new love – herself.